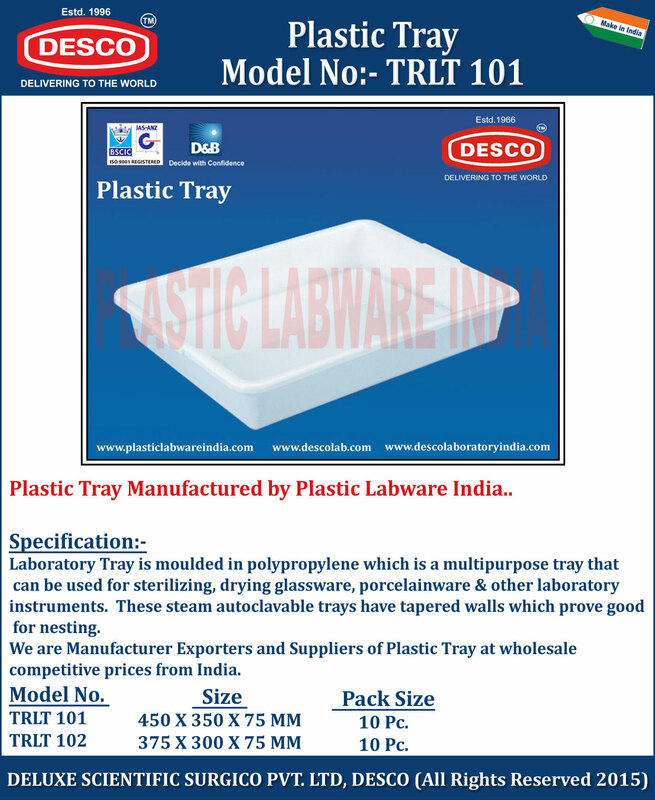 Laboratory Tray is moulded in polypropylene which is a multipurpose tray that can be used for sterilizing, drying glassware, porcelainware & other laboratory instruments. These steam autoclavable trays have tapered walls which prove good for nesting. We are Manufacturer Exporters and Suppliers of Plastic Tray at wholesale competitive prices from India. TRLT 101 450 X 350 X 75 MM 10 Pc. TRLT 102 375 X 300 X 75 MM 10 Pc.